Antenna mode: the efficiency of multiple antennas is optimized simultaneously. General multiport mode: the suitable S-parameters (e.g. S21) of the matched system are optimized. In both operation modes any of the ports can be short circuited to the ground using a component whose value is to be optimized. The multiport module utilizes the same component library and tolerance analysis techniques as the standard one-port matching. After the matching circuits have been optimized you can compute a tolerance analysis in a couple of seconds to see the variation of the input impedance and efficiency due to the component tolerances. The multiport module is the successful outcome of a major development project targeting easy-to-use but powerful functionalities for simultaneous multiport matching. Optimization of multiport matching circuits using real component models has never before been as fast and easy! Web pages on multiport matching. Would you like to refresh your matching and Smith chart skills? Would you like to learn about the differences of power waves and traveling waves in microwave networks? 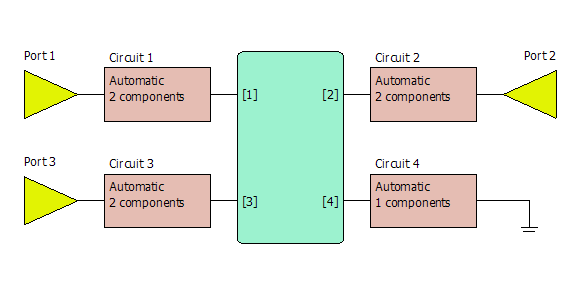 Would you like to learn what is the correct optimization criterion for matching circuit design? Would you like to know more about antenna bandwidth estimation using the bandwidth potential technique? IEEE APS/URSI 2013 (The 2013 IEEE International Symposium on Antennas and Propagation and USNC-URSI National Radio Science Meeting), July 7-13, 2013, Orlando, Florida. The short course is held on July 7. If you are interested, please register through the conference web pages.